Seán Russell (1893 – 1940) was an Irish Republican who held senior positions in the Irish Republican Army until the end of the Irish Civil War. From 1922 on he remained a senior member and Chief of Staff of the IRA. Russell died after falling ill during a return trip to Ireland on a German U-boat in 1940. This figurative memorial in bronze was unveiled in 2009; the original statue was installed in Fairview Park in 1951. The earlier stone version of the statue attracted much negative attention due to Russell’s history. After the memorial was erected, the raised right arm was broken off by right-wing radicals, who explained the vandalism by claiming the arm had been raised in a communist salute rather than oratorical pose. Following this the damaged arm was replaced posed downward instead of raised. The 31 December 2004 attack saw the decapitation of the memorial by an unnamed group, described by the Sunday Independent as anti-fascist. The memorial's right forearm was also removed. The missing pieces of the memorial have not yet been recovered. 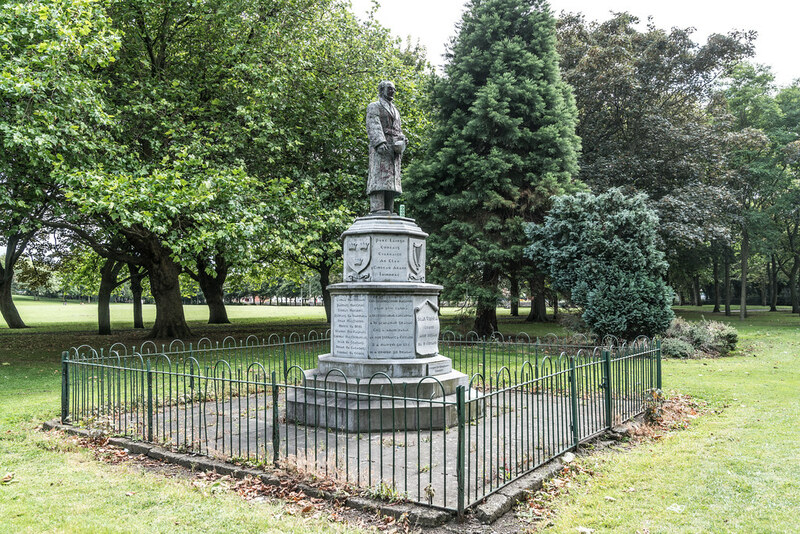 A spokesman for The National Graves Association announced that the memorial to Seán Russell will be rebuilt in more permanent bronze to deter vandals. In May 2009 the plinth was cleaned and the new bronze was erected. The plinth of the memorial was again vandalised on 9 July 2009 with graffiti proclaiming Russell to have been a Nazi. Willie Malone is a Dublin based sculpture who runs the Kilmainham Art Foundry. He is a prolific sculptor and his work includes Death of Cúchulainn which is on display in the Dublin Custom House and The Hitchhiker commissioned by Kildare County Council.